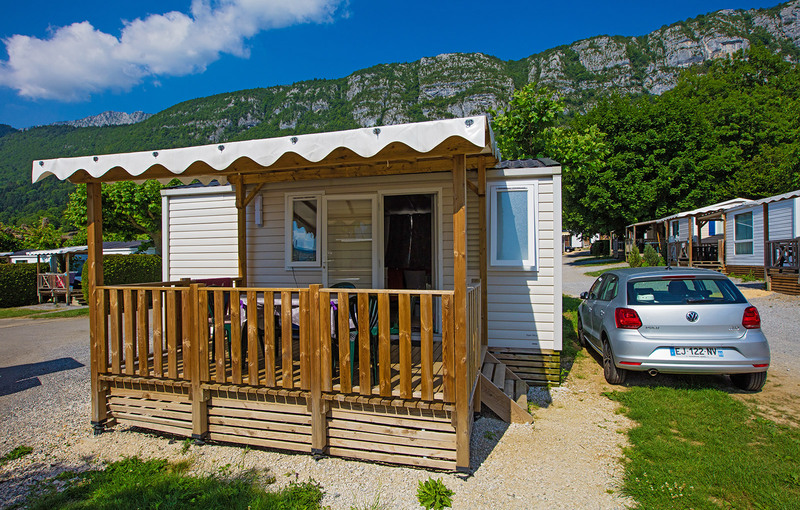 A compact and functional mobile home for 4 people, the Taillefer is a cosy accommodation ideally designed for a couple holiday with or without children. 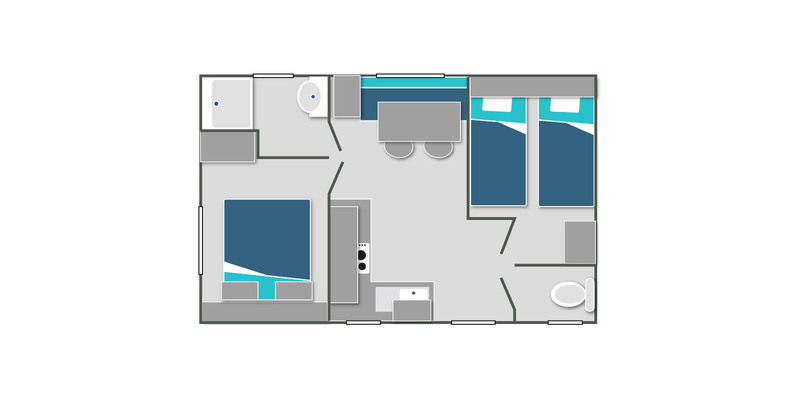 With a surface area of almost 23 m2, it has two separate bedrooms, one parental and the other with two single beds. A pleasant stay, bright and with contemporary decoration, allows you to spend evenings indoors in the best comfort. There is a table with chairs and a bench for meals and entertainment. A corner kitchen, open to the living room, offers you all the equipment you need during your stay: utensils and crockery for 4 people, cooking fires, sink, fridge and microwave oven. A shower room and separate toilets are of course present in the accommodation. On the front, a pleasant raised and shaded terrace awaits you, equipped with a garden furniture.